In the far end of the gallery garden, behind a gate and a bamboo fence, is a small, Japanese style garden. A curved path with stepping stones leads one past Japanese style stone lanterns to a small pond, where carps are swimming. 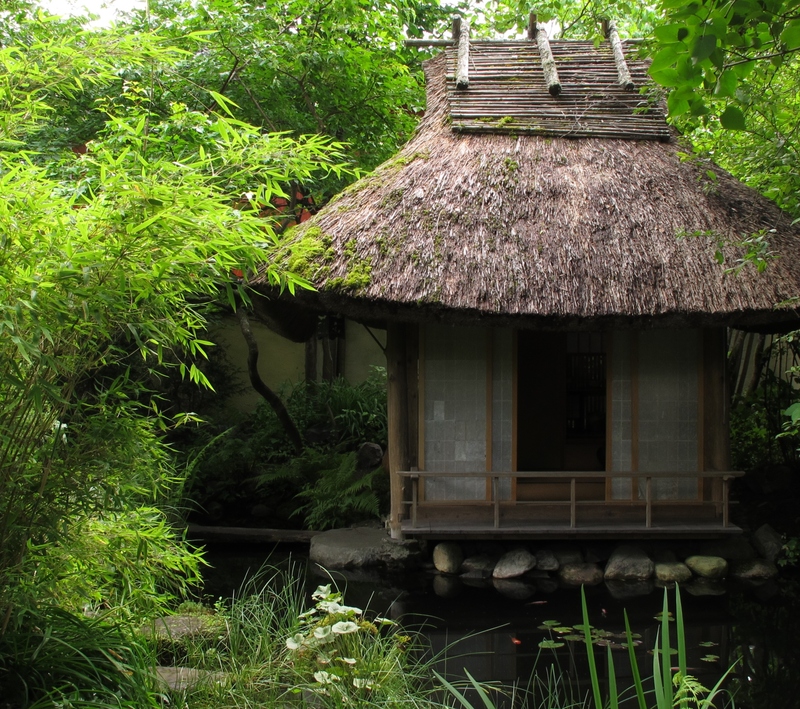 Behind the pond, a genuine, Japanese style teahouse lies under a maple tree and a jasmine. The thatched roof, the paper sliding doors and the small verandah are reflected in the water. 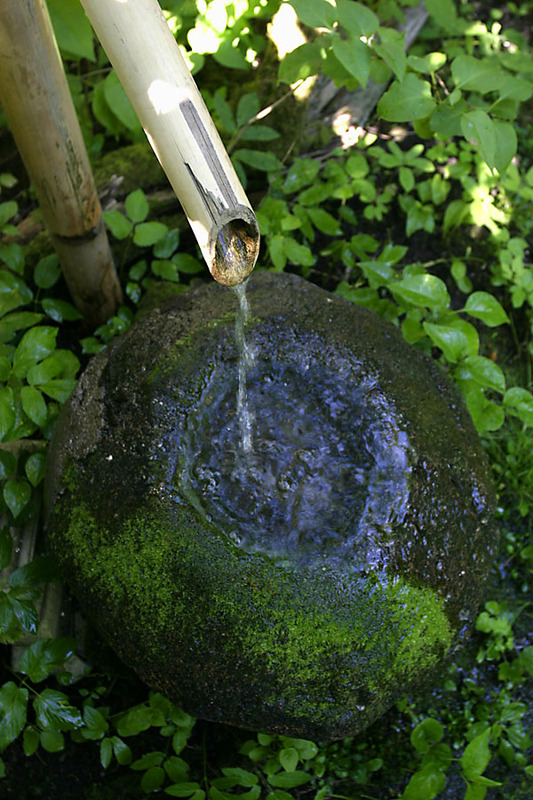 A small waterfall gives a cooling sound of running water. 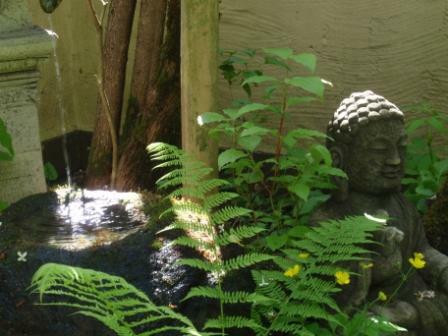 After a study tour to Japan in 1988, the owner Svein Westad started planning the teahouse. Adviced by a Japanese engineer, living in Norway, the shape and orientation of entrances, windows, and wall materials were decided. By the help of a Danish thatcher, the roof was put up. The house was completed in 1993, and given the name: "Ungetsuan" by the Japanese embassador in 1994. Since then, the owner, having studied tea ceremony at the Urasenke tea school in Kyoto, have served tea for Japanese as well as Norwegian guests. On request, up to 4 guests may be served tea in the tea house.